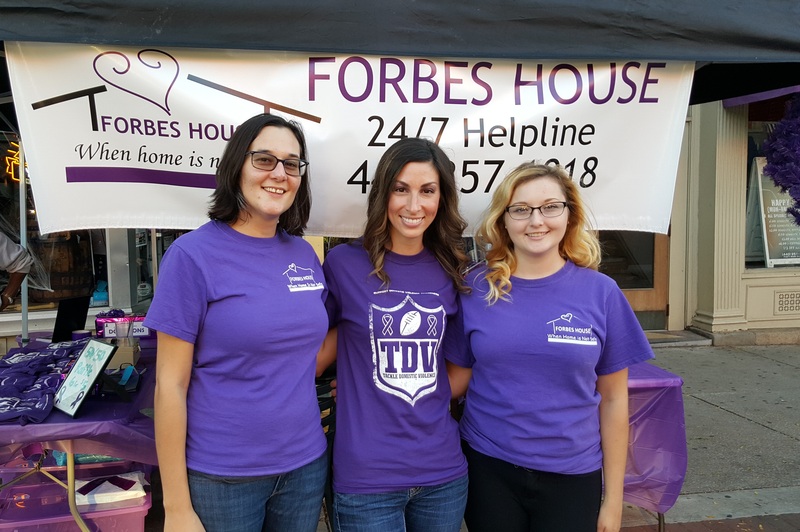 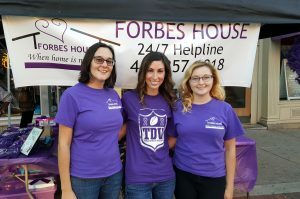 Thank you to all of the people who supported Forbes House and Tackle Domestic Violence during our awareness event on October 7! 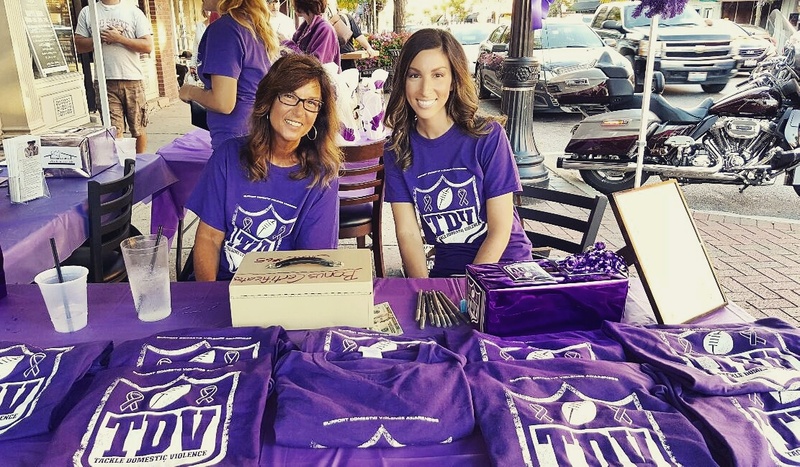 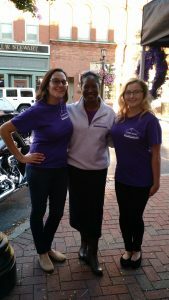 This fun event featured a Chinese Raffle, wine pull, 50/50 raffle, T-shirt sales and Purple Purse charms. 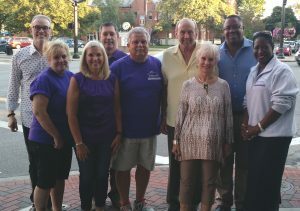 Thank you to event sponsors The Wild Goose and Frank & Tony’s Place. 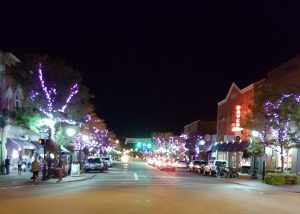 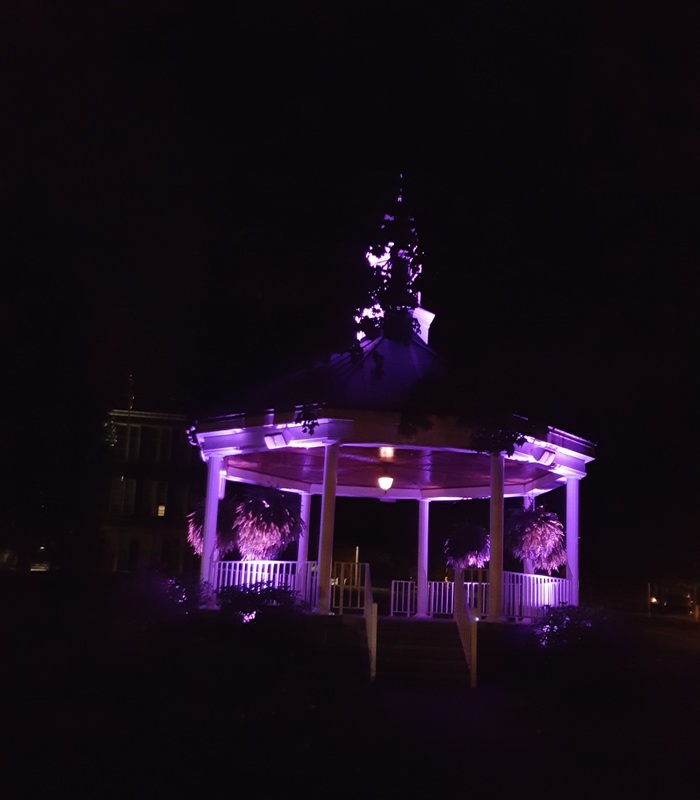 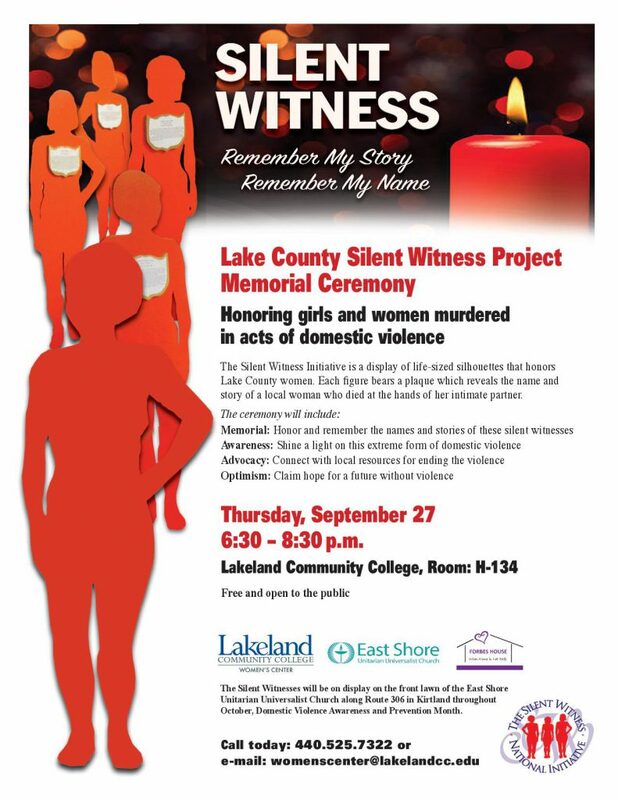 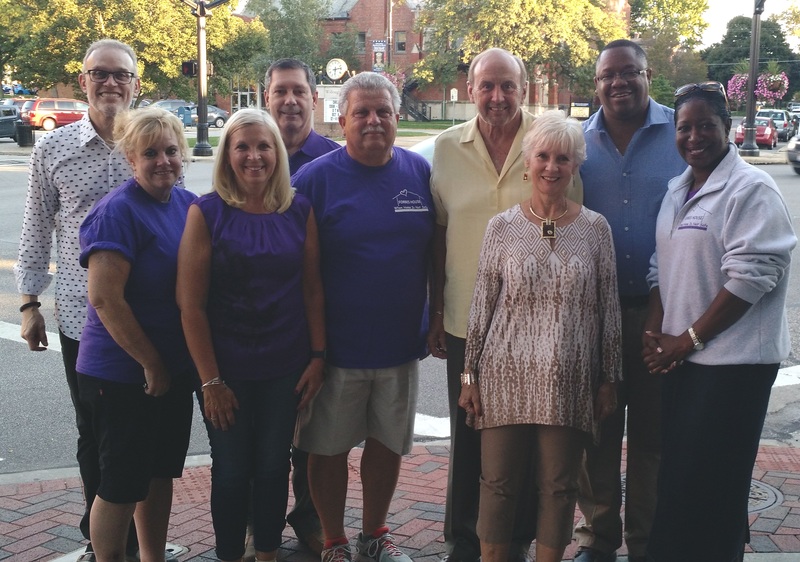 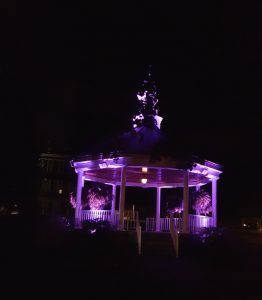 The City of Willoughby lit up the trees along the Erie Street and the gazebo in the park to show their support for Domestic Violence Awareness Month. 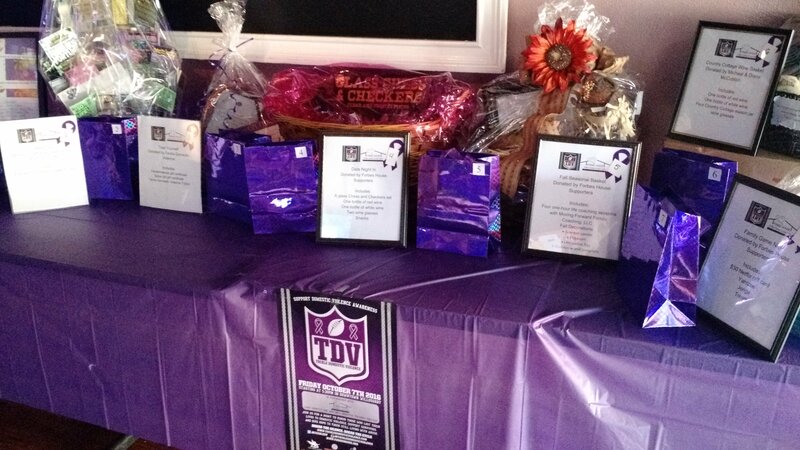 A great time was had by all and we raised funds to support survivors in our communities!